It’s happened to the best of us. You have work to do so you sit down at your laptop with a coffee and a to do list and what do you get? Nothing! A completely empty brain. 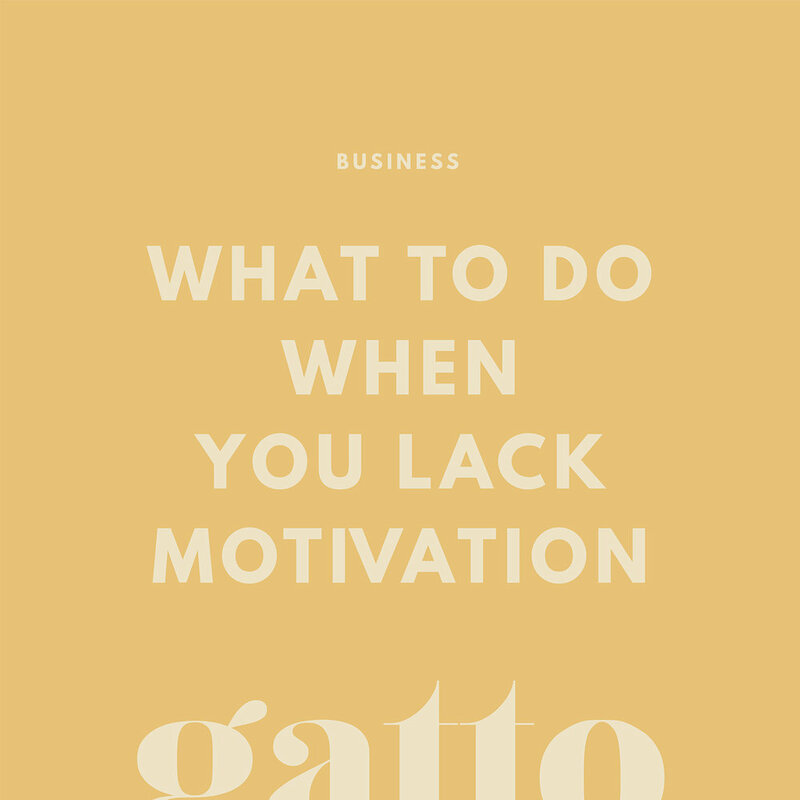 Your creative spark has gone and the motivation to get stuff done is seriously lacking. This usually happens to me once every couple of months or even every few weeks, usually it is because I have been working too many hours or spending too much time on the tasks which don’t fulfil me creatively like admin or scheduling social media. I have come up with a few ways which I can re-invigorate my love for my creative business and design work so I know when the lull hits, I am prepared. Sometimes we can get wrapped up in client work and forget that we should also make time for personal projects which fulfil you and tickle your creativity. Personal projects are not only helpful to re-motivate you, you can also use a project like this to learn a new skill within your industry, create a new example of work you can provide and help you combine some of your passions. I recently started my own project which means I can combine two of my favourite passions – design & film. A project which you should be seeing very soon (sorry for the cheesy secrecy). Not only did it give me something to do outside of work, but it means I can put my creative energy into something which I really enjoy when other areas of work are getting me down. Ok, so a personal project is great, but what if you need to step away from the work you do every day? What if creating your own version of your work isn’t good enough? I have found that finding a hobby outside of your industry – for me this usually means anything away from a laptop – can help reignite your passions. One of my goals for this year was to find myself a hobby away from my laptop as everything I have ever had an interest in has been digital (graphic design, website design, photography, creative writing). This means I then have an outlet when my eyes need a break from staring at a screen and you can completely take yourself away from work. Some hobbies I have tried or want to try are Calligraphy, Scrapbooking, Knitting, Gardening (difficult with my tiny back yard) and Painting. If you really struggle to find something to do, revert to settling down with a good book to take you away and relax. What can inspire you more than the great outdoors? Sometimes all you need to get inspired is a bit of fresh air and a taste of new surroundings. It is difficult to be stuck in the same place behind the same desk with the same mug in your hand every single day and getting out is really important. I am lucky that my little pup Toby gets me out of the house for a walk every day but if I am feeling really disheartened I will drive to the countryside for a big walk and a new experience and I find this always lifts my mood and my inspiration. If all else fails, maybe you just need a break? Since becoming a creative business owner, I find it difficult to give myself time off and I think this is what my body is reminding me of when I’m feeling burnt out. Even giving yourself one day off to refresh your mind and relax can make the world of difference to your working attitude. You don’t have to go anywhere fancy or plan a holiday, just schedule in a rest day every now and then to have a lie in or watch Netflix. Give your brain a day off! 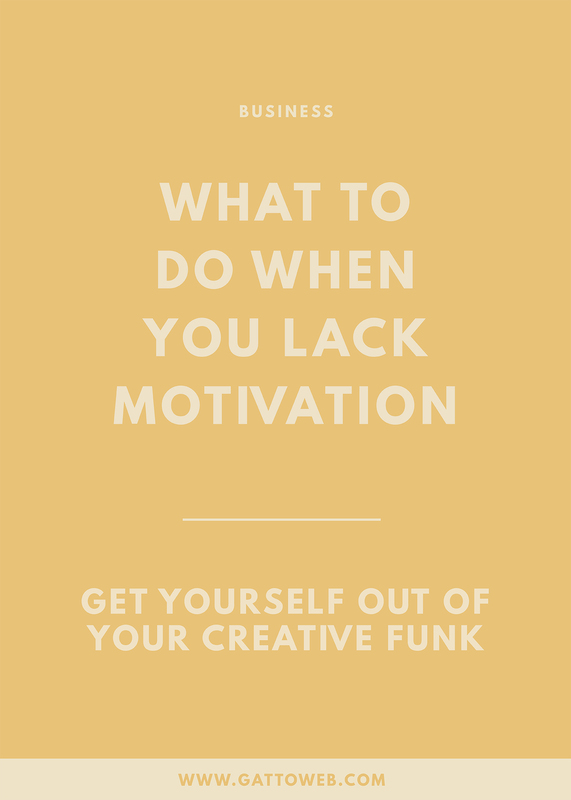 I really hope this advice is useful for your days when you lose a bit of creativity and I’d love to hear your methods for bringing the motivation back into your lives!